To commemorate North County Incorporated’s (NCI) service to the community, NCI recently had a 37th Anniversary Dinner & Auction at Hendel’s Market Café & Piano Bar. At a sold out event last Sunday more than 80 business, civic, and community leaders including Sen. Gina Walsh, Rep. Keith English, Rep. Jill Schupp, County Executive Charlie A. Dooley, and County Councilman Steve Stenger and Mayor Tom Schneider of Florissant and Mayor Robert Doerr of Bellefontaine Neighbors enjoyed an elegant dinner with wine pairing and silent auction. Thanks to NCI Board Member Chef Nathan Bennett, Owner at Hendel’s Market, and Catering Manager Christina Bennett (one of NCI’s past 30 Leaders in their Thirties honorees), and their amazing staff, guests had an evening that tickled their taste buds and pleased their palate! A nod also to: Classic Wines and their sommelier Ryan for the terrific pairings with each course and to NCI Board Member Karen McKay for “blinging” our auction items. And, a BIG THANKS to all of those who joined us or donated auction items for your support of this annual fundraiser. The NCI Board of Directors has endorsed the Ferguson-Florissant School Districts Proposition S which will appear on the ballot August 5th. Please remember to get out and vote. 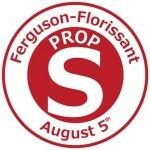 You can view all the information on Proposition S via the Ferguson-Florissant School District’s website by clicking here. On Friday, September 26th NCI, along with media sponsors GTNN and Community News, will host the annual NCI Salutes 30 Leaders in their Thirties event at Norwood Hills Country Club. The awards reception begins at 11:30am. We have generous and affordable sponsorship packages available for the event including NEW advertising packages that are available this year through the Community News. For more information on how to become a sponsor or to advertise in our event program you can go to the event webpage HERE. Thanks to all of you who took the time to nominate someone for a 30 Leader award. The nominations have been submitted to the judges and our winners will be announced soon. Watch our Facebook page and www.NorthStLouisCounty.com for this announcement. Metro celebrated the ground breaking for its newNorth County Metro Transit Station in the City of Ferguson on Monday, July 21st. The new station will be located on the site of the old Mazda dealership on Pershall Road between W. Florissant Avenue and New Halls Ferry Road. North St. Louis County makes up about 20 percent of Metro’s ridership and has the highest increase in ridership over the last 5 years. The transit center will have 10 bus bays, concession stands, a free parking lot and an indoor waiting area. North County Inc.’s Chairman of the Board, Chief Mike Gantner, and board members, Dan Boyle, and FergusonMayor James Knowles were in attendance for the ceremony. NCI has actively supported the opening of this center so that the residents of North County will have improved public transportation services. It was exciting to witness the ground breaking. The transit center is expected to open in the fall of 2015. Welcome to NCI’s newest Board Member Ruby Curry, who was recently appointed as Interim President for St. Louis Community College at Florissant Valley. Ruby has been with the college for the past 38 years. 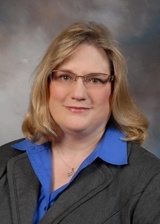 She replaced Marcia Pfeiffer who retired in June. Our Explore North St. Louis County website now has a new look! Check out the new and improved Explore site by clicking here. We are interested in your feedback so let us know what you think of the new look or if you see any North County asset missing that we should consider including. It is our goal here at Johnny Londoff Chevrolet to make sure that all of our customers are completely satisfied!